Like Luca Brasi, the beard sleeps with the fishes. 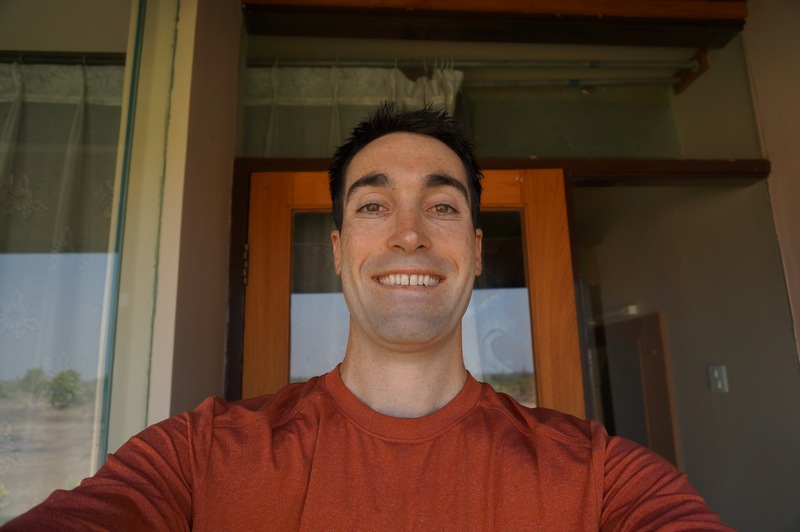 The 100-degree heat of Bagan, Burma (to-be-blogged about) and my desire to eat soup again without needing to shampoo my face afterwards led me to have it shaved. For those of you who supported the beard, thank you. For those who opposed it (a well-organized militia led by my sister Amy), I completely understand — it was pretty gross. And for the 99% of you who couldn’t care less, I completely understand that too — we’ll be back to blogging about more interesting parts of the trip shortly. (I still needed to shave that beast myself after the barber was done with me). 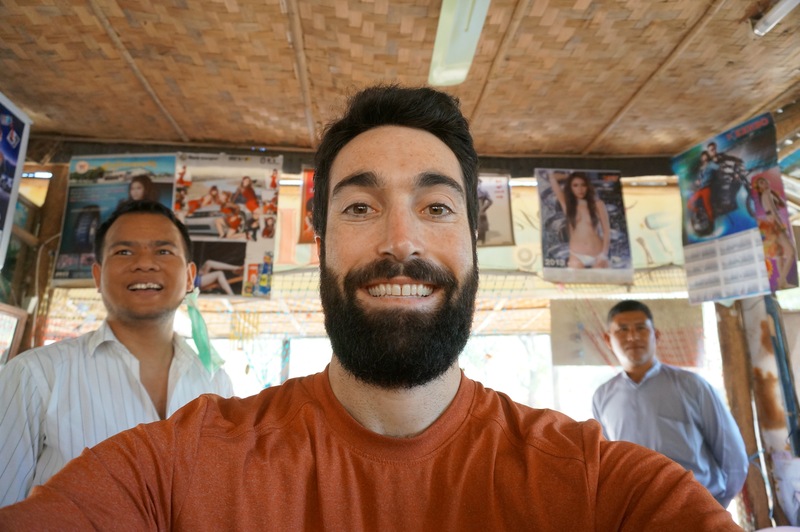 My man charged me $2.50 for the standard haircut (the old “Burmese schoolboy” chop) and said it would be another $2.50 for the beard. Probably the first beard the barber has ever shaven. My taxi driver stuck around and got a real kick out of watching. This entry was posted in Beard on March 7, 2013 by Dan. Couldn’t have made it that far without you Johnny Boy. You’re a true patriot. Yea!!! My son wasn’t left in South America and traded for some fierce looking bearded guy! Welcome back, Dan!!! Ha, thanks Matt. Majengo is forthcoming!! I loved the beard and think you should rock it stateside! (as long is it’s well maintained and soup-free.) Dying to know if Jill was pro or anti. 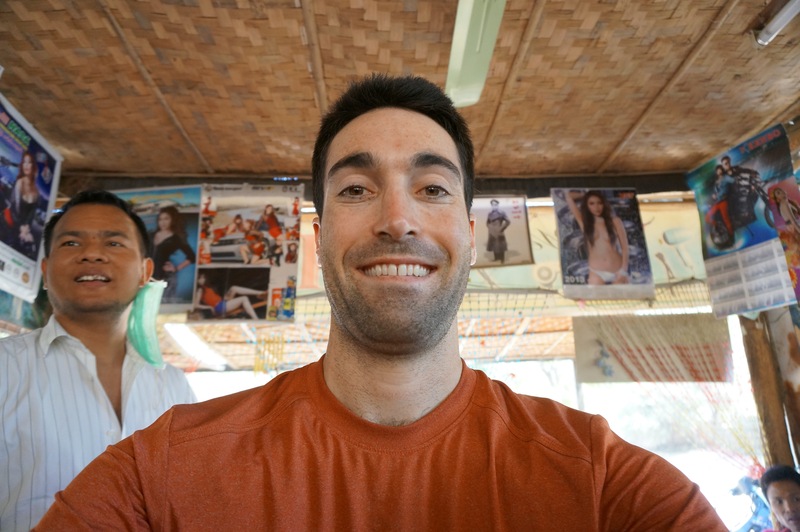 I was pro/neutral – fully in support of my (hairy) hubs 🙂 It gave us some major street cred with other travelers, and I’m bummed I won’t get the chance to see the Saper family reaction live! Xo SRA!! !